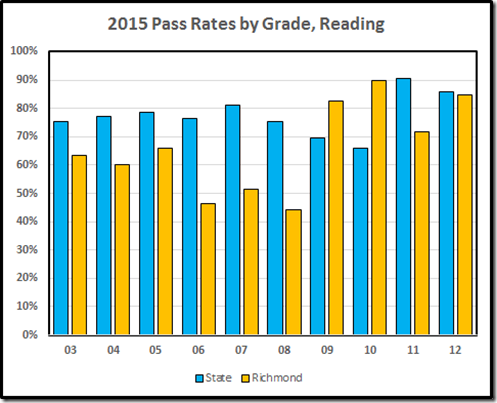 The VDOE database is glad to produce pass rates by grade. We must view these numbers with some caution. 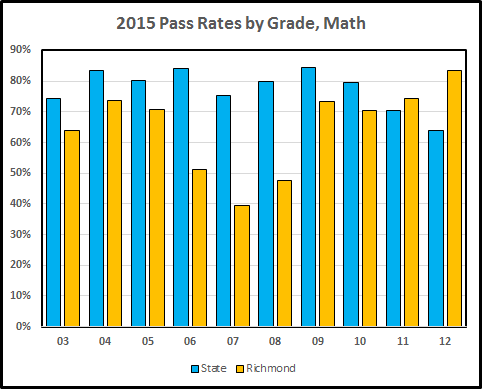 The high school pass rates are boosted by inclusion of the Maggie Walker students who live in Richmond, albeit Walker is not a Richmond public school. They still are giving the notorious VGLA to LEP students in grades 3-8 (albeit it’s now graded by the state, not the local schools). 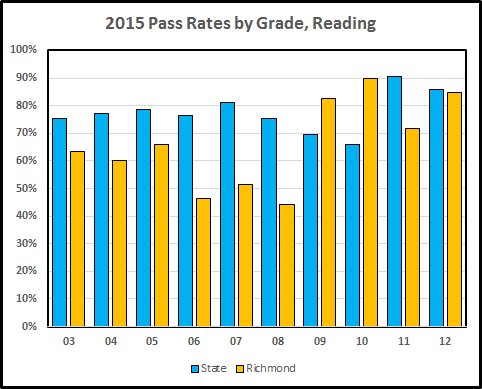 Here, then, are the pass rates for the 2015 reading tests for Richmond and the State. 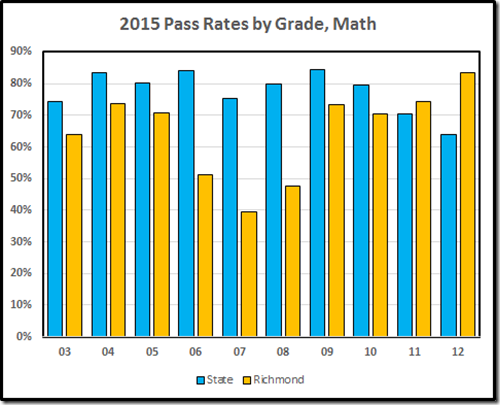 And here are the pass rates on the math tests. 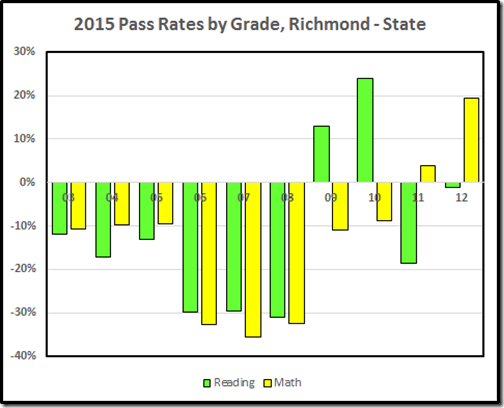 We can simplify the pictures by taking the difference between the Richmond and state pass rates. So we see the elementary schools underperforming, the middle schools failing their students miserably, and the high schools a very mixed bag. 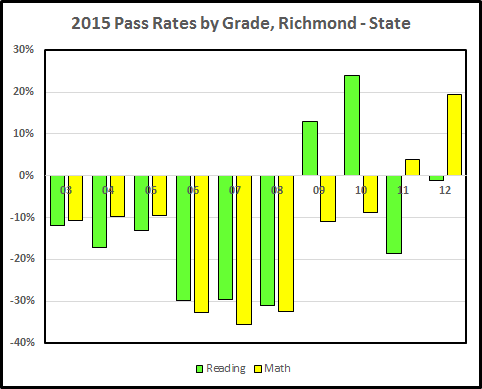 For sure, if RPS elects to attack the worst of the awful, they’ll start with the middle schools and eleventh grade reading.